Comic Book Hoedown: How Deep Are The Marvel and DC Movie Benches? Welcome back to the laziest comics blog on the internet, Comic Book Hoedown! Unveiled at the San Diego Comic Con, Superman / Batman is supposed to be the next movie from DC, with the idea that they will eventually make Flash, Wonder Woman, and Justice League movies. They've announced that Superman / Batman will be at least a little bit of a versus movie, which leaves me kind of cold. I'm sure teenaged me would slap adult me for saying that, but, hey, tastes change. However, all of the coverage and speculation about which movies are going to come from the two big comics companies got me to thinking: how many properties do they actually have that can be made into successful movies? For the purposes of this discussion, I'm going to leave off the non-superhero properties; that affects DC more than Marvel, as the only non-superhero property I can think of that Marvel could put out would be a Nick Fury and his Howling Commandoes movie, and that's hero-adjacent, at the very least. DC has all of the Vertigo stuff like Sandman and Preacher, plus Jonah Hex, Sergeant Rock, etc. However, to make things a little bit fairer to DC, I'm only going to include in Marvel's list the properties that Marvel Studios has the rights to work with, so no X-Men, Spider-Man, or Fantastic Four-related movies. That means no Deadpool or Venom movies, for example. Also no Alpha Flight, but, c'mon. I like Alpha Flight, but I don't think a guy that turns into a robot named Box is high on any studio's list. help matters much in the USA, either. Also, there are some unfortunate realities of the movie business that we have to face for this discussion. I want to see Black Panther, Mr. Terrific, and Luke Cage get movies, but let's be honest: Hollywood is terrified of trying to market an action movie featuring a black main character to white America, much less the rest of the world. Well, at least if the movie doesn't feature Denzel, Will Smith, or maybe Wesley Snipes, once he's done with his little tax-related time out. Same thing with a gay main character, and even a female-fronted action-oriented movie is a hard sell, at least to the studios. I think there's markets for all of these, but I'm not a Hollywood executive, and we're at least sort of trying to think like one with this exercise, repellent as that may be. I'm not saying having a non-straight white male automatically nixes the idea, but it's a strike against the property, in Hollywood's eyes. On the other hand, both companies need to have at least some minority and female representation in their rosters, so expect them to pick one or two minority / female properties to run with. Before Marvel said they were going to go with Guardians of the Galaxy and Ant-Man movies I also would have included "cannot be a flat out crazy idea," but I'm willing to waive that limitation now. Popularity does still play some role in the determination, because Hollywood is going to go for the low-hanging fruit, and they're more likely to reboot the Hulk or just make Iron Man 6 than to go with too many risky concepts. I also think that there are some characters that are going to have problems, based on their origins, namely legacy characters. The Flash movie is almost certainly going to feature Barry Allen. Maybe somewhere down the line they can work Wally West, Jay Garrick, or Bart Allen, the other three main characters that have had the title of Flash, into the background of a Flash film. However, it's hard to believe that the studio would even think to roll the dice on Flash movies with those other characters in lead roles. 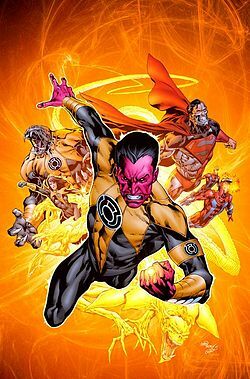 Same thing with the Green Lanterns; we're probably not going to see John Stewart, Kyle Rayner, or Guy Gardner, and we're even less likely to see a Sinestro- or Larfleeze-centric movie. Same thing with most of the Bat-family and Super-families; we might see a Supergirl, Power Girl, Nightwing, or Batgirl movie (but probably not Batwoman, because Hollywood, as discussed, has a problem with lesbian action leads), but that's about it. And I wouldn't expect to see more than one of those per family. It's less of an issue if the character is separate enough that they can excise the connection to their legacy (Carol Danvers' Captain Marvel, for example), but it still requires some gymnastics; after all, we don't want another Catwoman. Taking all of that into consideration, here's the rough list of properties I think Marvel and DC have that are at least edge-cases for getting a movie. I'm going to skip ones that have already gotten one in the last 10 years or so, along with ones that are already in production, for brevity. Also, if I miss your favorite and you can make a good case for it, from a Hollywood point of view, chime in. Also, this isn't going to include TV shows, where I think some properties would thrive. Heroes For Hire or Resurrection Man would make great TV shows, and maybe only middling movies. Coming to a theater this Sweet Christmas! knows their roster is way too white right now, and it's not just fans grumbling about it anymore. Dr. Strange - This one has sort of been confirmed as being in pre-production. Gives Marvel an in to a bunch of weird mystical stuff they might be able to spin off from it, like Man-Thing. Can't wait to see how they make Wong not be patently offensive. Iron Fist / Shang Chi - Probably Iron Fist, maybe with Shang Chi as a supporting cast member. 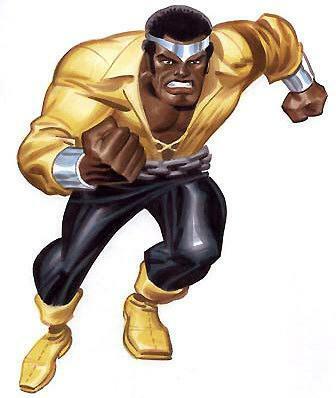 These could also get rolled up with Cage into a Heroes for Hire movie or TV show. She-Hulk - Kind of a long shot, for all of the reasons mentioned above, but she is a legacy character that's easy to set up with an after-credits teaser. Plus, she's had a number of good stories over the years, and an easy to understand hook: she's the Hulk but female and smart. Daredevil - They have the property back, and it's an easy way to establish the street level branch of Marvel movies, which gives them a way to make less expensive but still profitable movies. 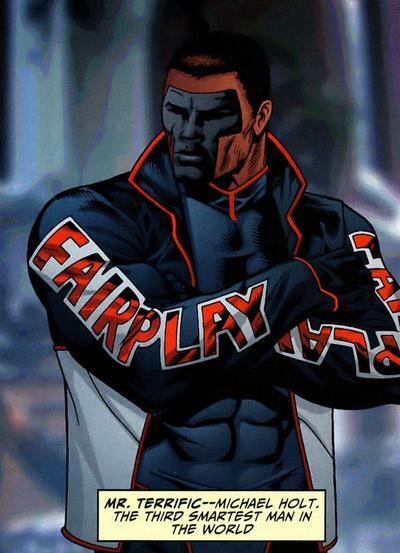 Blade - Another case where Marvel has the property back, and they could reboot the series. Still has a lot of goodwill among moviegoers, so it wouldn't be surprising, but also harder to do as a PG-13 property, which Disney is reportedly requiring. This is also one of the reasons why we're not likely to see another Punisher anytime soon. Flash, Wonder Woman, Justice League - These are basically a given. Wonder Woman is the only iffy one, because WB cannot figure out what to do with her. Aquaman - Yes, yes, there will be fish jokes aplenty in the media. But there's good stories to be told here, he'll get a bump in Justice League, and, c'mon, Marvel's making an Ant-Man movie. Green Arrow - Definite maybe. Easy and inexpensive, comparatively, with a good boost coming from the TV show. Teen Titans - This seems like a slam dunk at first, given its pop culture success, but it's a lot more cartoonish than the stuff WB has been putting out. Iffy. Blue Beetle - Jamie Reyes version. Another one that seems like a good idea, but might get overlooked. 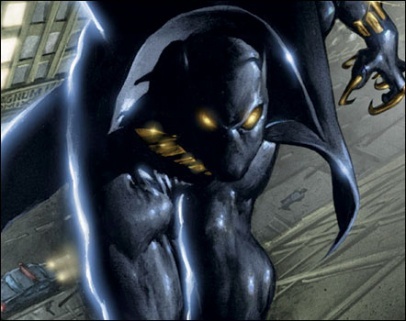 It's arguably their most successful racial minority character in years, but the fact that they're not doing anything with him even in the comics these days is bad news. Legion of Superheroes - Same issue as the Teen Titans, but maybe less so. Much like the Guardians of the Galaxy can be a little bit nuttier than the other Marvel stuff, LoSH may be able to be a little more cheerful and silver age, which is the place it operates best. Swamp Thing / Animal Man - Really on the fence about this one. Really more a pair of horror properties, if done correctly. However, if either one ends up getting made as a superhero movie, the other one has a chance. Huntress - This is another pseudo-legacy character that works just fine on her own. However, given that Green Arrow is more likely to get made, a second archery/crossbow-themed vigilante is already a longshot, and given Hollywood's attitude towards action movies starring women, probably not. One additional Bat property - In descending order of likelihood: Nightwing, Batgirl, Batwoman, Batwing. One additional Super property - In descending order of likelihood: Supergirl, Power Girl, Superboy. Martian Manhunter / Vision - They have a very similar problem, in that they're not human, or even really human looking besides their basic shape. Now, I think they'll end up as great support characters in their respective team franchises, if they show up, but I can't see how either of them would end up with movies anytime soon. Moon Knight - This should be an easy sell. He's like Batman, but in white, and he's a former mercenary instead of a ninja. But there's so much baggage with the rest of the character that jettisoning the necessary amount is difficult at best. I could maybe see a TV show, though. Most of DC's street level heroes - Manhunter, Question, and all the rest are great properties, but WB is almost certainly going to ask, "So why don't we just make another Batman movie?" Thunderbolts / Suicide Squad / Secret Six - The problem with all of these properties is that they require an existing group of villains that have survived the various movies they've been in, and there's not a lot of that to go around at either studio. They could just make up a bunch of villains, but they've got other properties to work with. Blue Beetle / Booster Gold / JLI - I really want to see this, but I don't know if we're at the stage with superhero movies that they can branch off and make a buddy comedy action movie in the genre yet. Wonder Man - This is not exactly a notable absence, because I don't think anyone's expecting it. But when things get far enough down the road, he'd be a great Marvel Studios Deadpool / Ambush Bug, played with more dry wit. The whole point of the character is that he's a superhero trying to be an actor, and Marvel used that to great effect in the 80s to make fun of the industry they were sick of dealing with. They could make a wonderful superhero equivalent to Get Shorty with him. Things are looking good at both studios for their properties. They could use a little more variety, perhaps, but that's long been a problem even with the source material, and it's something that can be overcome. Assuming the superhero movie genre isn't a bubble waiting to pop, the future is looking bright. And, seriously, Marvel. Call me about Wonder Man. I'll write a treatment.